Eye-scanning is the only thing that really makes this phone really stand out, otherwise it’s not a particularly interesting device, despite strong specs. It’s currently only running Android 4.4, which feels a bit dated on a flagship phone with such a large hi-res screen. The design of the phone doesn’t help much either. It’s thick at 9.8mm and looks like it was designed simply to house the technology inside it, lacking character and style. 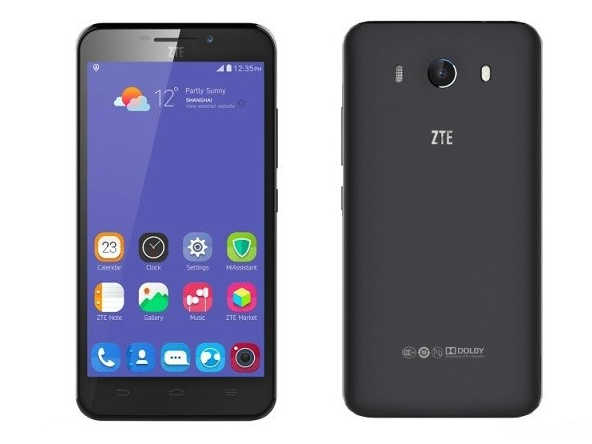 It's interesting to see a new development in mobile security being implemented in ZTE's Grand S3, but it's certainly not the most ideal or practical feature, and it's essentially the only thing that makes this smartphone stand out from the crowd. That said, its specs make it a good all-rounder that, should it make its way to the UK, could attract some intrigued buyers thanks to the Eyeprint ID. 801 MSM8974AC: SoC ARM de gama alta con 4 núcleos de CPU de hasta 2,45 GHz y una GPU Adreno 330 de hasta 578 MHz. Se basa en la arquitectura Krait 400 de Qualcomm y es producido en un proceso de 28nm HPM.